The T2800 Overcurrent or Earth Fault Relay has a broad application as an earth fault or a single phase overcurrent detection relay. It has a wide setting range for protection, control and monitoring. 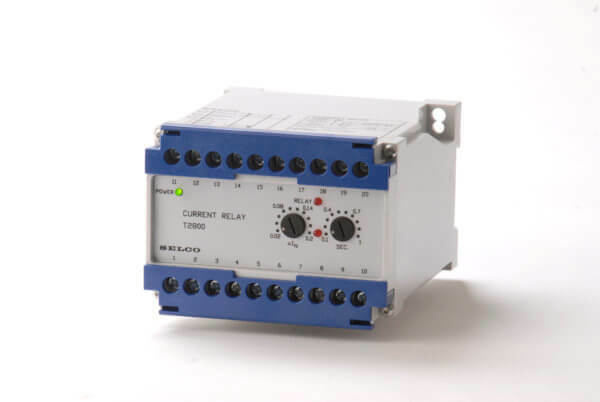 The T2800 has a broad application as an earth fault – or single phase over current detection relay, it has a wide setting range for protection, control or monitoring. The relay detects the magnitude of the current and, on exceeding the preset value, an output relay will be activated after a preset time delay. Available in many versions, varying in supply voltage, measuring currents, and functions.